By WILL RACKE, Daily Caller News Foundation. German Chancellor Angela Merkel said Tuesday the European Union should stand up an independent military force, backing a proposal floated by French President Emmanuel Macron earlier in November. In a speech to EU ministers in Strasbourg, France, Merkel said recent events have proven that Europe needs an army of its own. “What is really important, if we look at the developments of the past year, is that we have to work on a vision of one day creating a real, true European army,” she said, according to the Daily Mail. The reference to “developments of the past year” appeared to refer to President Donald Trump, who has on several occasions denounced European nations for what he sees as insufficient contributions to the U.S.-led NATO security alliance. Merkel also called for defense policy to be coordinated through a new European Security Council that would work with, but be independent of, NATO. Macron’s comment drew a swift rebuke from Trump, who called the suggestion “insulting” and told the French leader to focus on boosting his country’s NATO contributions. 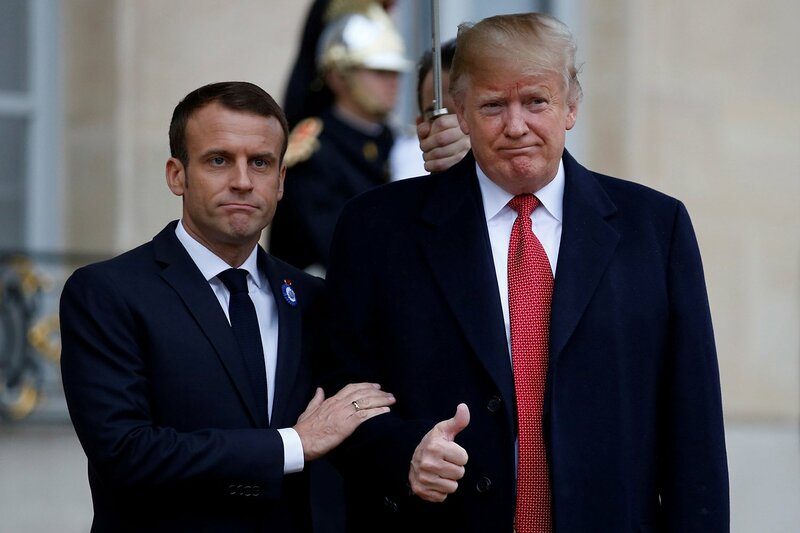 Trump slammed Macron again on Tuesday morning, ridiculing French losses in both World Wars and demanding that France reduce its tariffs on U.S. wine. Macron’s office has clarified that he did not mean to suggest Europe needs its own army to defend against a U.S. military invasion, but rather to insulate the continent from Washington’s own national security decisions. Merkel echoed that rationale in her speech Tuesday.